First, point of clarification - Vito's son, Vito, Jr. is on the payroll - not Vito senior, who doesn't seem to be much more than a gadfly and Vinci confidant. On the rest - Thank you for the great work Aberdeener. Truth is the power of our democracy and the poison for those that abuse it. Thx for the clarification. I should have caught that. These people are used to doing business as usual. Until more citizens show up and see what goes on they will wait and use the money from pay to play to squash the competition. Thanks aberdeener for shedding light on this injustice and I can only hope that people wake up. I N T E G R I T Y. Now Mayor Sobel at least you know how to spell it even if you do not have any of it yourself. You would not know the truth if... What am I doing? I am wasting my time as Mayor Sobel is bought and paid for. Everyone knows that Mayor Sobel sold his soul to the devil (aka) Norman Kauff, and he will be judged. Yes he will be judged. Say Amen to that Aberdeenites. We as taxpayers take it in the *** from Norman Kauff every single day. How does it feel Mayor Sobel to be "close personal friends" with such a man. And Mayor Sobel you know deep down in your heart you are a liar and you should never ever claim that you did not say "close personal friend". You know you said it. Try telling the truth just once Mayor Sobel. It might set you free. Will Norman let you? Probably not. We all get it in the *** from Norman Kauff, that shameless political puppeteer. It is time he is exposed to the taxpayers in a very public way for the F'r that he is. Wink wink right Aberdeener. Mayor Sobel you and your kind may like taking it in the ***, but we taxpayers have grown really tired of it as you will all see, very soon. Right Aberdeener. Wink wink. KennyCB writing in*** Is that why Mayor Sobel is bent over all of the time from taking it in the *** from Norman Kauff? My wife and I saw him at a recent town hall event and we felt sorry for him at first. OK I know that comment might be a bit much, but...F him. Mayor Sobel and his kind do far worse to all of us, every single day. Right Mayor? U C is back. I noticed nothing was listed from last nights council meeting summation about our Whilemina Gumbs. Thanks for the summation Brian by the way. Was she even there? Her time is done and we think even she knows it now. A group of us in the area have gotten together and are very close to having a true candidate to represent our community. Whilemina's time has passed and she obviously only represents herself and her families interests and like Vinci, she makes damn sure she gets hers. It is not all that black and white Whilemina. We are coming after all of you with THE TRUTH. Look for really good hiding places. As for Vinci the Aberdeener has chosen the right one to highlight. He is the one the authorities should go after as he would crumble quick. KennyCB again*** At least from what we hear he could run the numbers in prison. Right Vinci? This was one of the BEST blogs written yet. What a bunch of schmucks...... Those people you mentioned who are questioning things are VERY good at what they do..... as J section ken said : we need people at those meetings..... in a previous post and he is DAMN RIGHT. I can't believe some of the stuff they said IN A PUBLIC forum and ALSO WHO THEY ASSOCIATE with. If we do not get them out in the subsequent elections - WE ARE THE SCHMUCKS>>>>. Yes Mrs.Gumbs and all of the town council members were present. PS - I did notice her park in the handicap spot by the way. Vinci and Gumbs - They truly are the lowest common denominators. What the hell is it with these low life politicians and parking in handicapped spots. First it is Vinci and now we are told that Deputy Mayor Gumbs is using parking spots right out in front of town hall. So much for our highly paid police department. To think of the millions the police department costs the taxpayers and our police cannot even enforce the handicapped parking, fifty feet from their own building. They simply allow it or look the other way as low lifes like Gumbs and Vinci park illegally right in front of their damn building. So much for effective police enforcement and ensuring that the handicapped spaces right next to town hall are there for those who are really handicapped and need the use of such spots. How many times will our politicians and their handlers be able to say that the Aberdeener *does not know what he is talking about*. That ship has sailed with Capt. Coren at the helm. I dare all of these low lifes politicians to prove the Aberdeener wrong. Just once. We are waiting ladies and gentlemen. Tick tock, tick tock and captain Coren were good lines. Did anyone think that Vinci and Gumbs might really be handicapped. I mean look at them and the others. Vinci and Gumbs both do not know right from wrong. They both cannot move under their own direction or have any independent decision making in their everyday lives. Perhaps they truly qualify for those handicap parking permits. What am I saying this is Aberdeen. The home of politicians who live by the simple credo of "I can do whatever I want as Norman tells me what to do, what to say, how to vote and what lies to tell the taxpayers. What is going on I read the whole handicap parking thing is back. I thought we were told some time ago that Vinci stopped parking breaking the law. Are we to believe that a politician did not keep his word? No, now we are to believe that another politician who would not know what the truth was even if it fell on her like the house did in the Wizard of Oz. Now we are to believe another supposed leader and pillar of the community may possibly be breaking the law just like Vinci. What are we going to be told next about these supposed pillars of the community? Will we hear that they sell themselves and their votes for cushy jobs working for the state? Will we hear that some of them may be given land without the normally imposed restrictions on developing that same land that they got for $1.00? What is next? Will someone tell us next that our towns leaders give away the store to those powerful "close personal friends" politically connected companies and Law firms in spite of rules and ethics standards which restrict or bar such things? I thought communism was dead? Is there no shame left in this world? Is there no accountability? We already know that in Aberdeen shame and accountability for politicians is obviously at a premium. I cannot wait until Aberdeen day to see any of these low lifes. Mayor Sobel is quoted in today's Independent as saying "People get at pay-to-play with some of our hiring practices, but we were one of the first municipalities to pass a pay-to play ordinance." As detailed in a prior post, the ordinance was only passed last year and was specifically written in such a fashion that it only targets Matawan's developer for the Transit Village project. 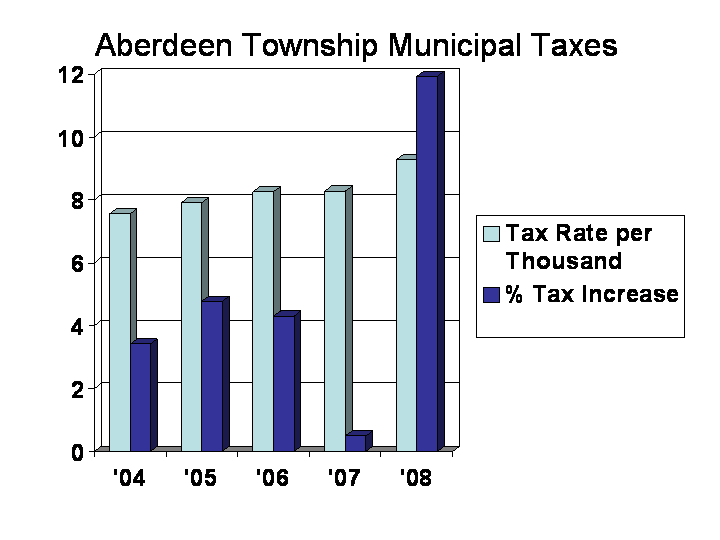 INTEGRITY DOES NOT EXIST IN ABERDEEN OR IN THE HEARTS AND SOULS OF ITS SUPPOSED LEADERSHIP. More Sobel double talk. That pay to play ordinance is a joke and he should not be able to hide behind it. The Independent reporter did an excellent job and now is the time for the citizens to rally and demand more. STOP WHAT YOU ARE DOING AND GO OUT AND GET THIS WEEKS COPY OF THE BAYSHORE INDEPENDENT. ARTICLE ON COUNCILWOMAN GALLO AND HER QUESTIONING CME AND THE OTHER SO CALLED PROFESSIONALS THAT COST ABERDEENS TAXPAYERS MILLIONS OF DOLLARS PER YEAR. NORMAN WE TOLD YOU WE ARE COMING FOR YOU, AND NOW EVEN THOSE YOU THINK YOU CAN CONTROL, ARE COMING AFTER YOU. TICK TOCK, TICK TOCK. IT IS CALLED DIVIDE AND CONQUER. THE CONQUERED PART OF THE EQUATION. What will Gallo do? Hopefully she has the ethical stamina to keep it up. Sobel, Kauff and their herd of lackeys will be exposed. A little tired last night when I posted and there were a few errors. Sorry. I should also advise that you can also view the article on-line just google Greater Media Newspapers. If you can send some encouragement to Councilwoman Gallo. You can also end some well deserved scorn and contempt to the other Norman Kauff puppets. Make sure you have a better day than Norman Kauff will have today. You can be sure Norman will be none to happy with the article exposing his fiefdom of greed and patronage. Hey Norman F U ! Mayor Sobel denied making the statement that Norman Kauff is a close personal friend of mine. To whom did he make this denial. It is right in the March 18th meeting minutes. Matawan doesn't have a Pay to Play Ordinance. Councilman Mullaney and Councilman Mendes would have to stop voting to pay their family owned businesses for work done for the Borough. We don't need Sobel to screw Matawan, we have our own Councilmen for that! The joke is Mullaney stated he was going to prepare a Pay to Play Ordinance. Guess that was an oops!While he was trying to do something in the best interests of the Borough, he forgot about lining his and Mendes' pockets. Haven't heard anything from Mullaney since. This can be verified by Matawan's Borough Council meeting minutes. Can't wait for election time just to get some people on Council who don't have a personal agenda! The current majority has already put Matawan at a $400,000. medical deficit and continue to spend money. Sorry but we hear Pay to Play and it just reminded me of the title of your last entry, "When a Politician Opens His Mouth." Perhaps you should add, they should take their foot out of their mouths first! Mayor Sobel told me in private that he only referred to Norman Kauff as a "personal friend". Others present at the event have told me the mayor said "close personal friend". OK once and for all. Mayor Sobel said *CLOSE PERSONAL FRIEND*. End of story! Sobel can deny it all he wants as it is merely just another denial from a professional liar, trained by the master of all lies and deceit, Norman Kauff. While I may be just an anonymous blogger, I am unlike most every politician you have ever met, voted for or have ever seen on TV, as they are all LIARS. I am telling the truth even if it is behind my anonymity. I mean Sobel just said that the town clerk said that the contracts were just found on Stuart Brown's desk. LIAR! The list goes on and on. Lucky for Sobel his first name is not PINNOCHIO as his nose would be a mile long or more from his time as a politician alone. Dave how long are you on the waiting list for a state job from Norman Kauff? What did Raymond do to get one before you and Owin? Come on people Mayor Sobel is no different as he is a politician lacking the ability to tell the truth in any form. He would not know the truth if his life depended on it. Thankfully he is very old and at the end of his political career. Even if he is the last one to know it. Right Dave? It is unfair to call all politicians liars - that would mean that Sobel and cronies are no worse than the rest. Sobel, Drapkin, Vinci, Gumbs, and Raymond have a special talent for telling and accepting lies as fact. First off no one caught the trap that U C Brother laid out saying he was an anonymous blogger. His last name really is Brother. I guess we do not look for the little mistakes since we are all so busy questioning and informing others of the corruption and outright lies of our supposed leadership here in Aberdeen.